Traditionally used to keep financial records for amost any purpose. 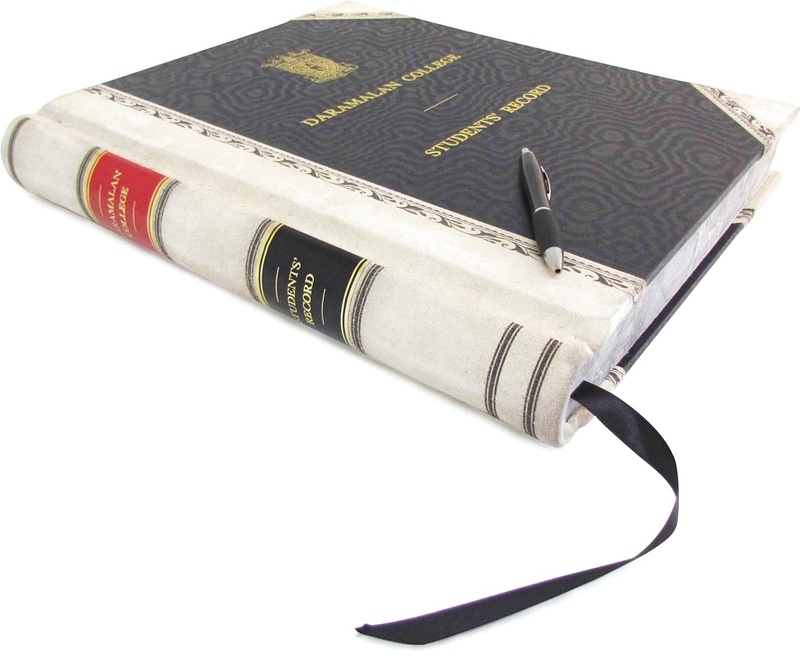 This term has expanded to cover almost any book made to hold hand written records. Usually in leather and always with archival materials. 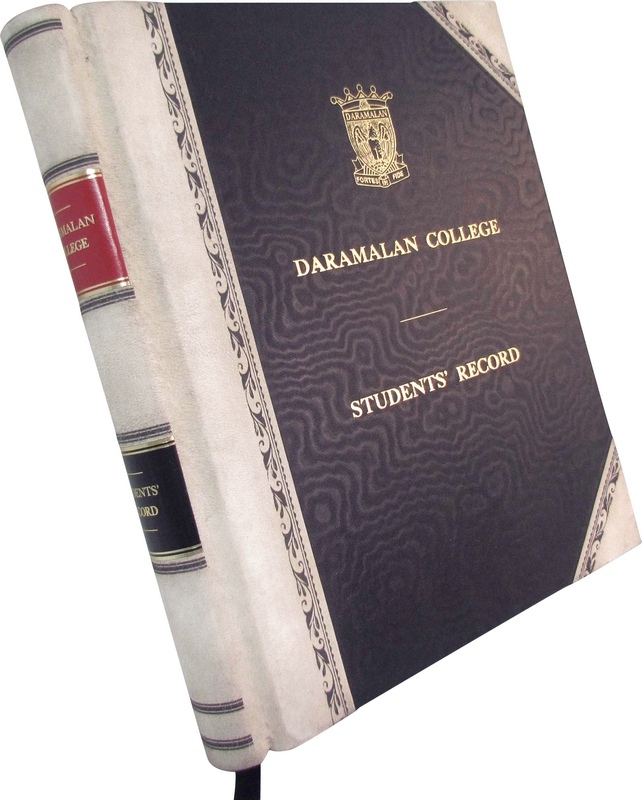 Ledgers are especially needed by institutions wanting to keep a permanent easily accessible record of anything frompersonal toughts to members or attendees of an institution. 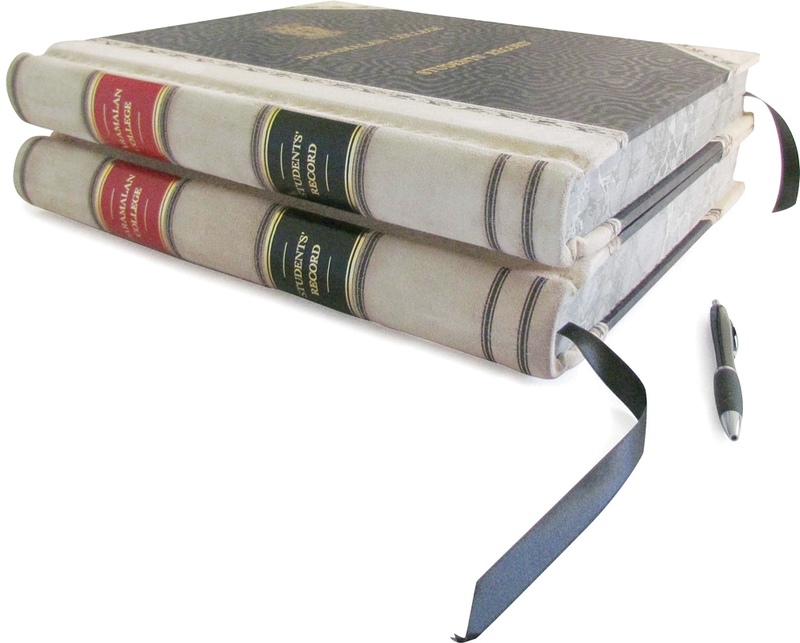 A requirement of a good ledger is that it should open flat at any point that it is opened at, and should be stitched throughout, usually sewn into the covering boards for extra strength.